It is difficult for me to express the level of gratitude I have towards the people who have supported and encouraged me to make, celebrate and write about games. The following people have pledged to support me in making and writing about games. They are awesome. If you would like to be come an Awesome Supporter, you can find details on my Patreon campaign. 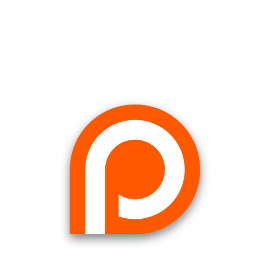 If you would like to be come a Super Awesome Supporter, you can find details on my Patreon campaign. The following people have pledged to support me in making and writing about games. They are intensely awesome. If you would like to be come a Mega Super Awesome Supporter, you can find details on my Patreon campaign. The following people have pledged to support me in making and writing about games. They are supremely awesome. If you would like to be come a Hyper Mega Super Awesome Supporter, you can find details on my Patreon campaign. The following people gave me support, encouragement and love before I had any formal way of requesting or accepting it (note, this list is currently incomplete). Without them, this site would not be here, and I probably wouldn't be making games. They are the best. Over the years, I've been floored by the amount of positive reception I've had to my articles and projects. It's been great to hear others' thoughts and perspectives on my articles, have community questions contributed to my interviews, and see the assorted projects that people have created with HumVis data. To know that I've given inspiration to others is hugely flattering. In lieu of some more meaningful way of recognising and celebrating these people, I do my best to honour them by creating the most thoughtful and worthwhile content I can. I love you all, and thank you so much <3.